Inspired by Kosmos 9’s series of posts titled War of the Sexes, I let my facial hair grow. It’s something I’d been thinking about for a while but hadn’t gotten around to. I was curious to know what it’d feel like having never let it grow for more than a few days at a time. Ever. “It’ll be interesting,” I told my wife when she wrinkled her nose a little. As a teenager I hated disposable razors, cutting my face more often than I care to remember. Borrowing my older brother’s electric razor convinced me they were the best (meaning safer and less painful) way to shave. In the twenty some-odd years since I’ve owned two electric razors. About once a year I have to buy a new blade and screen, which usually costs about $15. In my quest to be as sustainable as possible I’ve pondered various ways to shave without electricity and without disposable razors. The answer from a long-term sustainability perspective is an old-fashioned straight razor sharpened daily with a leather strop. However, being squeamish about having a long, super-sharp blade near my throat held by my own unsteady hand, my overactive imagination conjures ghastly images best not described here. Watching guys on YouTube demonstrate how to shave with a straight razor gives me the willies. One guy in particular jokes about the scar on his cheek – a result of his inexperience. So that’s the learning curve? You know you’ve got it when you no longer carve deep gouges in your face? 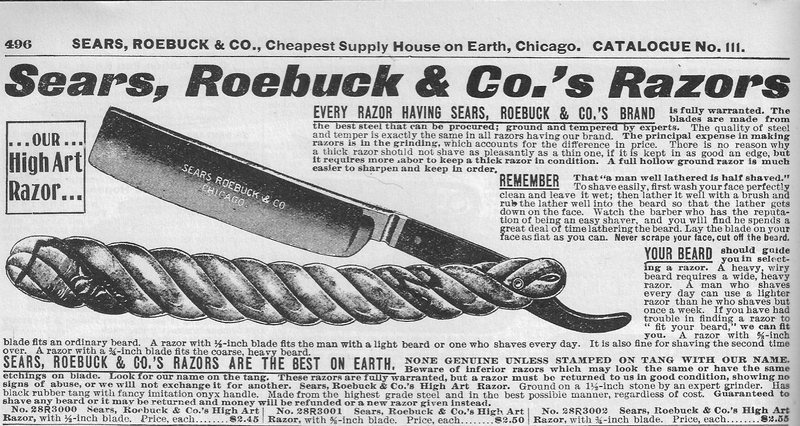 Besides the safety issue, good quality straight razors and accoutrements are expensive. Better (meaning safer and less painful) to simply let the beard and mustache grow. There’s also something a little rebellious about the idea of letting it grow. It’s like when I was a teenager in the late 80’s and simply didn’t cut my hair. I wasn’t trying to be stylish or rebellious, I was just too lazy (or too broke) to get a haircut. But as an added bonus Mom, Dad, and all my teachers hated it. Today I have the luxury of being a little rebellious. At this point in my life there’s nothing (I thought,) short of my wife’s discreet nose-wrinkling to stop me from letting it all hang out. So to speak. So I let it grow. And as a result of the results, the experiment lasted a week. Topping my wife’s list: chocolate. I’d love to know what’s on your list. Oh my oh my. I have a big sustainable no no on my list. Till I run the tank out, long hot showers. I don’t want to hear about solar hot showers or turning off the water while soaping up. I don’t care that the 6 other people in my house want to take a shower too. I don’t care if electricity costs $100 a watt. I want my hot shower. James once tried to talk me out of said long hot shower. I threatened to put him in the crazy house, because he had clearly lost his freaking mind. He then told the kids they should probably limit their showers, wise man. And yes, Vicki is oh so very right— chocolate. Take my chocolate away and I will have to go take two long hot showers. Kindred spirits, you and I. That makes three things on my list. 1) lip balm 2) electric razor 3) hot showers. Not necessarily in that order. I think I can survive just about anything with these three things. Hot showers and chocolate are right up there as well. I could survive without them but I would go without many other things before I gave those up. You would have to bring up shoes! It’s so hard to find a pair of shoes that fit right. But I recently gave away a pair that fit slightly less well than another similar pair. Now I’m down to three pair. Total. Not counting winter boots. So I guess I can leave them off my list.